Become a supporting member of Crime Stoppers USVI! How is Crime Stoppers USVI Financed? Crime Stoppers USVI is a non-profit 501(c)(3) corporation. We are financed through tax deductible donations and membership dues received from citizens, businesses and local service organizations. All of the work is done by volunteers, but we do need funds to maintain the phone lines, provide training, publish information, and of course, to pay the rewards that are offered. 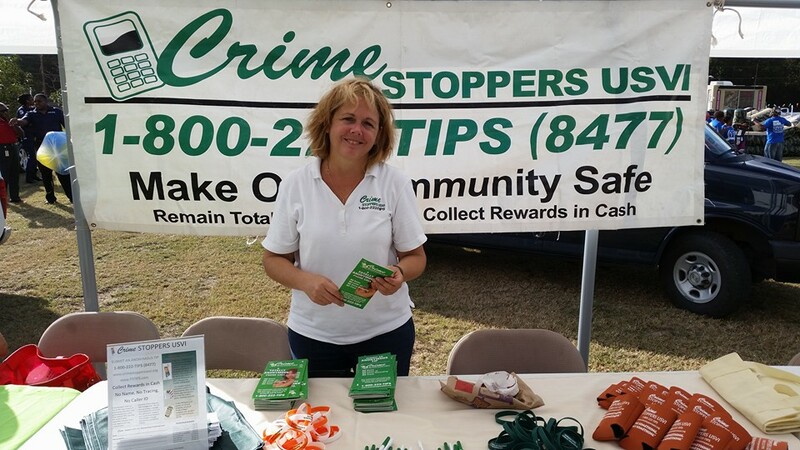 Crime Stoppers USVI would not be possible without volunteers! From our Board of Directors to support staff at our local events, we are all volunteers! We are always looking for more insights, ideas, and help to better impact our amazing island community! If you are interested in becoming a Crime Stoppers Volunteer, please complete and submit the form below! Membership is more than a donation – it is a commitment to a safer, more prosperous US Virgin Islands. By becoming a member of Crime Stoppers you are joining a dedicated community – and that has its perks! Business donors (Business and above) will receive a free VIPD Business Security Screening to better protect your business and all will receive out quarterly newsletter that will include local discounts from participating businesses*! If you are interested in becoming a supporting member of Crime Stoppers USVI, contact us today!